Sean is a Screenwriter, Director, Editor and Producer, currently based in Sydney, Australia. Since 1994, Sean has worked in film and television production in Australia and the US, while writing and directing short films and music videos. Sean has written feature screenplays in a variety of genres, including Action-Adventure, Thriller, Science-Fiction and Horror, inspired by filmmakers like Steven Spielberg, John Carpenter, George Lucas, Ridley Scott and Richard Donner. Sean began making films at age 11, experimenting with Super 8 cameras and editing equipment. While attending high school in Hong Kong, he made a 25-minute action film, Hong Kong Hookie, which helped earn him a place in the Victorian College of the Arts School of Film and Television (1991 - 1993). 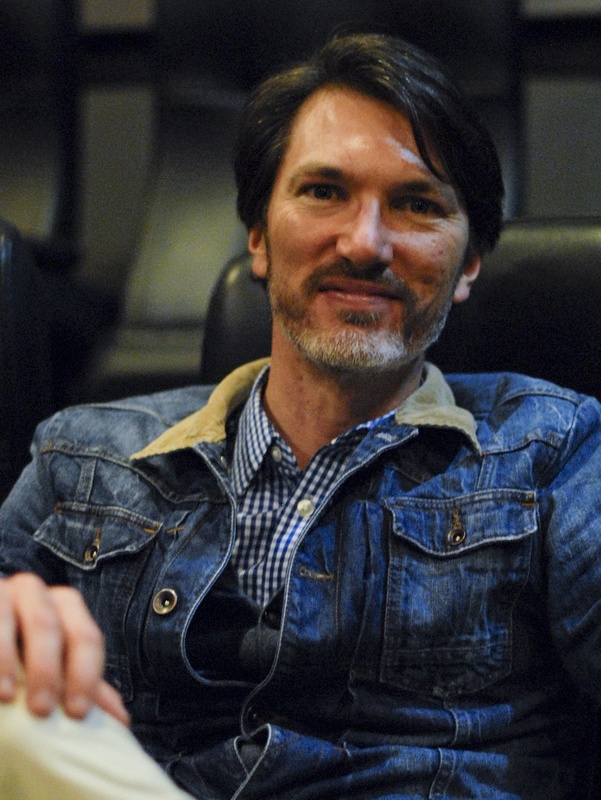 During the course, Sean wrote and directed several 16mm shorts, including Edward's Quest (1992, 15 minutes) and Believers (1993, 17 minutes). At age 22, Sean graduated from the VCA in Melbourne, Australia, with a Bachelor of Film and Television Degree. Since then, Sean has worked on features in Australia and the US, as a Production Runner, Assistant Director and Production Assistant (see RESUME), while continuing to write and direct short films and music videos. In 1996, he began writing feature screenplays, later developing Illustrated Hero with Australian Producer, Laura Sivis. Sean's next script was The China Club, followed by Claws and most recently, The Legend of Yakatutch. Go to PROJECTS for more information. In 2006, Sean moved to Los Angeles, where he interned with several production companies, writing screenplay coverage while learning the studio development process, before working as an Assistant to Producer Allison Thomas, at Larger Than Life Productions (Pleasantville, Seabiscuit). While based in LA, Sean attended film festivals and markets (Sundance, AFI, AFM), advanced screenwriting and directing workshops, and professional seminars, gathering valuable insight into the business of film production. Sean also attended screenplay pitch festivals (InkTip, Pitchfest), pitching his screenplays to studios and production companies. One of Sean's screenplays, Claws, was a finalist in the Beverly Hills Film Festival Screenwriting Competition, in 2010. Also that year, Sean wrote, directed and produced a short film based on the feature screenplay. The short film, Claws, premiered at "Renovation 2011" - the 69th World Science Fiction Convention, in Reno, Nevada. Since 2011, Sean has developed The Legend of Yakatutch with Producer Laura Sivis. In December 2014, the project was selected for the 3-D Content Financing Market in Liege, Belgium, and awarded Best Project & Pitch by a panel of international judges, during the 3-D Stereo Media Summit. In 2015, the project was selected as a Producer Spotlight Project for the International Financing Forum (Toronto) and Trans-Atlantic Partners, and is being packaged as a Canadian/Australian co-production.